I could not have asked for a more perfect night for a lunar eclipse. It doesn’t get any better! 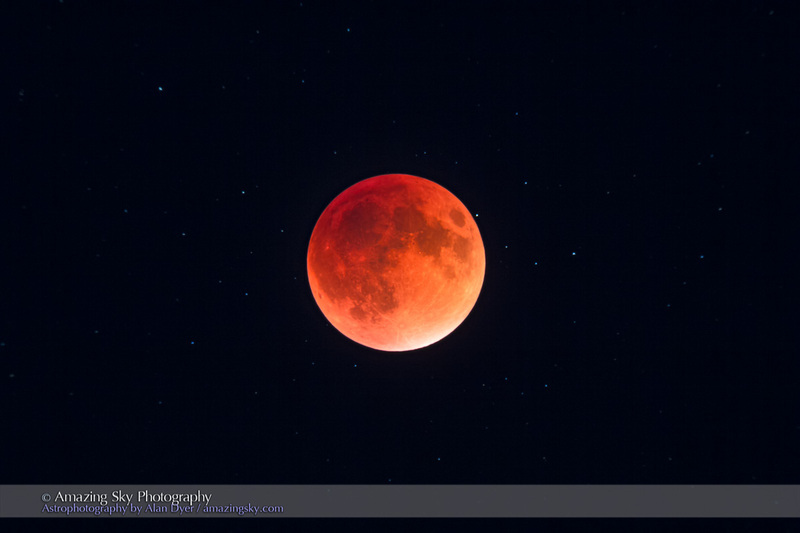 On Sunday, September 27, the Moon was eclipsed for the fourth time in two years, the last in a “tetrad” of total lunar eclipses that we’ve enjoyed at six-month intervals since April 2014. This was the best one by far. This is through the TMB 92mm refractor for a focal length of 500mm using the Canon 60Da at ISO 400 for 1/250 second. 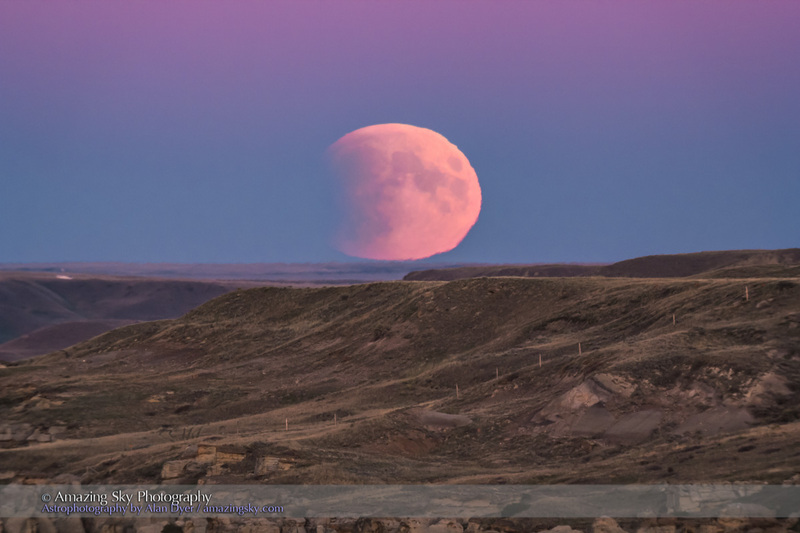 The timing was perfect for me in Alberta, with the Moon rising in partial eclipse (above), itself a fine photogenic site. In the top image you can see the rising Moon embedded in the blue band of Earth’s shadow on our atmosphere, and also entering Earth’s shadow on its lunar disk. This was a perfect alignment, as lunar eclipses must be. 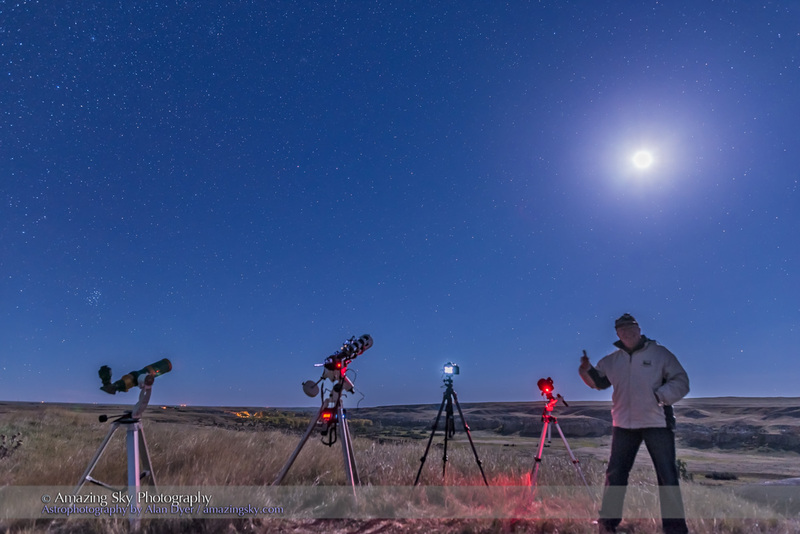 For my earthly location I drove south to near the Montana border, to a favourite location, Writing-on-Stone Provincial Park, to view the eclipse over the sandstone formations of the Milk River. 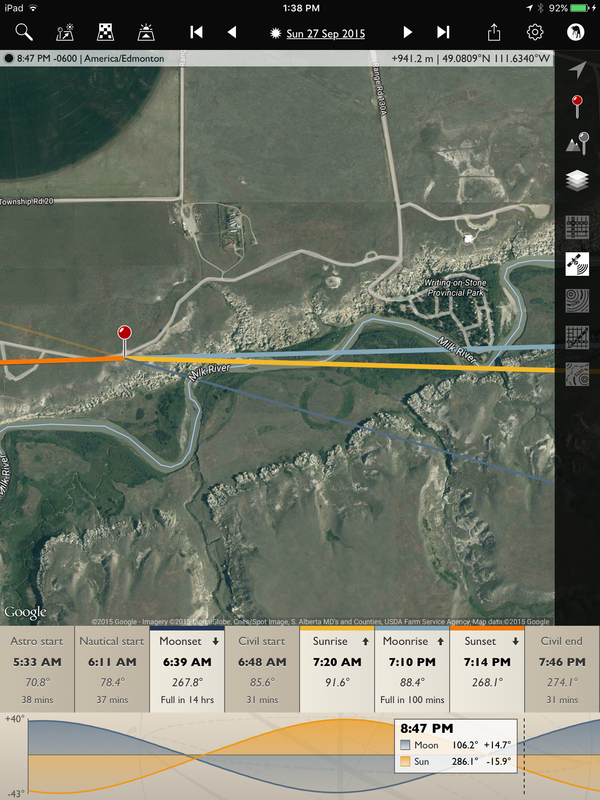 The image below shows a screen shot of my site plan and viewing angles using The Photographer’s Ephemeris app. More importantly, weather forecasts for the area called for perfectly clear skies, a relief from the clouds forecast – and which did materialize – at home to the north, and would have been a frustration to say the least. Better to drive 3 hours! This was the second lunar eclipse I viewed from Writing-on-Stone, having chased clear skies to here in the middle of the night for the October 8, 2014 eclipse. I shot with three cameras: one doing a time-lapse through the telescope, one doing a wide-angle time-lapse of the Moon rising, and the third for long-exposure tracked shots during totality, of the Moon and Milky Way. This is a stack of 5 x 2-minute tracked exposures for the sky and 5 x 4-minute untracked exposures for the ground to smooth noise. The Moon itself comes from a short 30-second exposure to avoid overexposing the lunar disk. Illumination of the ground is from starlight. All exposures with the 15mm lens at f/2.8 and Canon 5D MkII at ISO 1600. The camera was on the iOptron Sky-Tracker. That image is above. 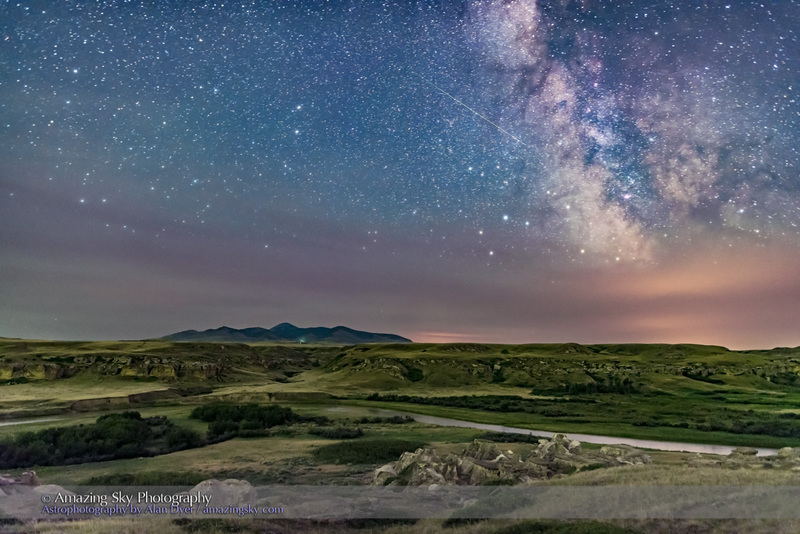 It shows the eclipsed Moon at left, with the Milky Way at right, over the Milk River valley and with the Sweetgrass Hills in the distance. The sky was dark only during the time of totality. 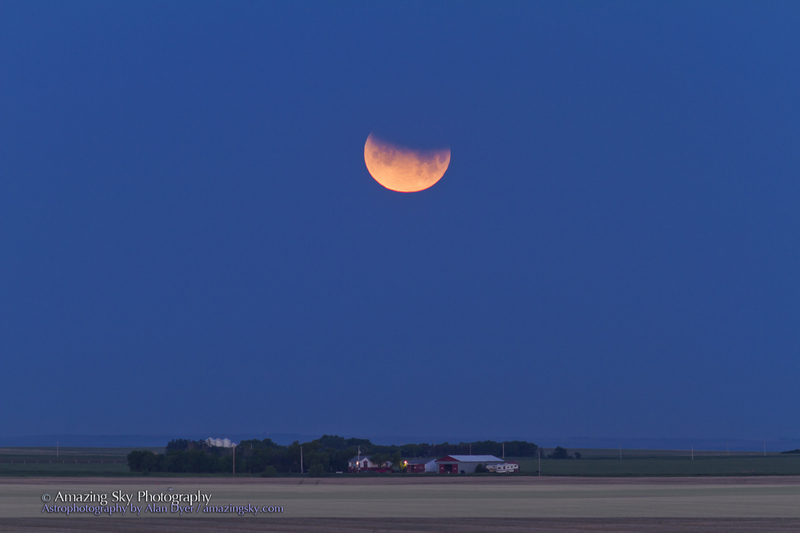 As the Moon emerged from Earth’s shadow the sky and landscape lit up again, a wonderful feature of lunar eclipses. While in the above shot I did layer in a short exposure of the eclipsed Moon into the long exposure of the sky, it is still to accurate scale, unlike many dubious eclipse images I see where giant moons have been pasted into photos, sometimes at least in the right place, but often not. Lunar eclipses bring out the worst in Photoshop techniques. This is a single exposure taken through the TMB 92mm refractor at f/5.5 for 500 mm focal length using the Canon 60Da at ISO 400 for 8 seconds, the longest I shot during totality. The telescope was on the SkyWatcher HEQ5 mount tracking at the lunar rate. Above is a single closeup image taken through the telescope at mid-totality. I exposed for 8 seconds to bring out the colours of the shadow and the background stars, as faint as they were with the Moon in star-poor Pisces. I shot a couple of thousand frames and processing of those into time-lapses will take a while longer, in particular registering and aligning the 700 I shot at 15-second intervals through the telescope. They show the Moon entering, passing through, then exiting the umbra, while it moves against the background stars. So I was a happy eclipse chaser! I managed to see all four of the lunar eclipses in the current tetrad, two from Alberta, one from Australia, and one from Monument Valley. With the latest success, I’ve had my fill of lunar eclipses for a while. Good thing, as the next one is not until January 31, 2018, before dawn in the dead of winter. With the mild night, great setting, and crystal clear skies, this “supermoon” eclipse could not have been better. It was a super eclipse. On Sunday, September 27 the Moon undergoes a total eclipse, the last we’ll see until January 2018. This is a sky event you don’t want to miss. Whether you photograph it or just enjoy the view, it will be a night to remember, as the Full Moon turns deep red during a total eclipse. Note — For this article I’m giving times and sky directions for North America. For Europe the eclipse occurs early in the morning of September 28, as the Moon sets into the west. But for here in North America the timing could not be better. Totality occurs in the evening of Sunday, September 27 as the Moon rises into the east. A total lunar eclipse occurs when the Moon — and it can only be Full — passes through the shadow cast into space by Earth. The Sun, Earth and Moon are in near-perfect alignment. 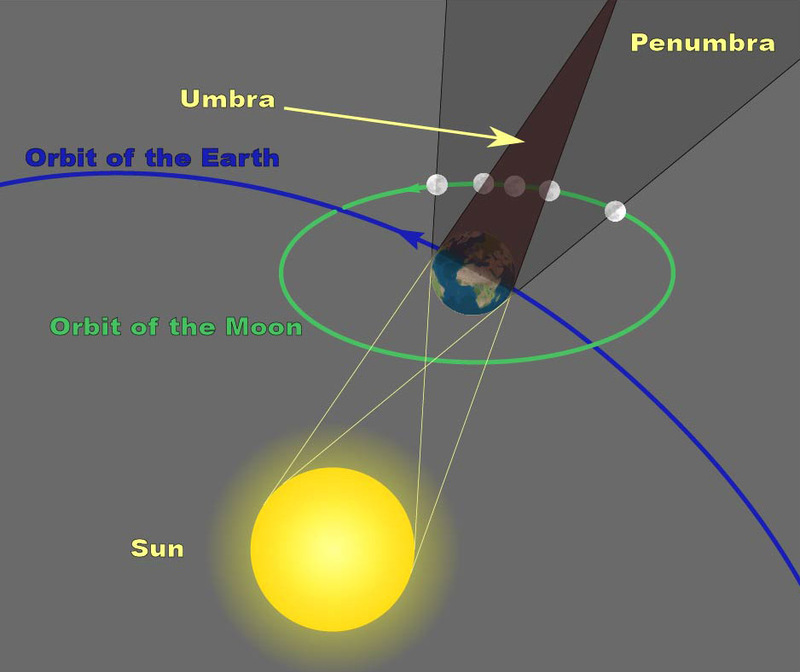 • The initial partial eclipse occurs as the Moon slowly enters the dark central portion of our planet’s shadow, the umbra. This lasts about an hour. • Totality begins as the entire disk of the Moon is within the umbra. For this eclipse, totality lasts a generous 72 minutes. • Totality ends as the Moon emerges from the umbra to begin the final partial eclipse lasting another hour. 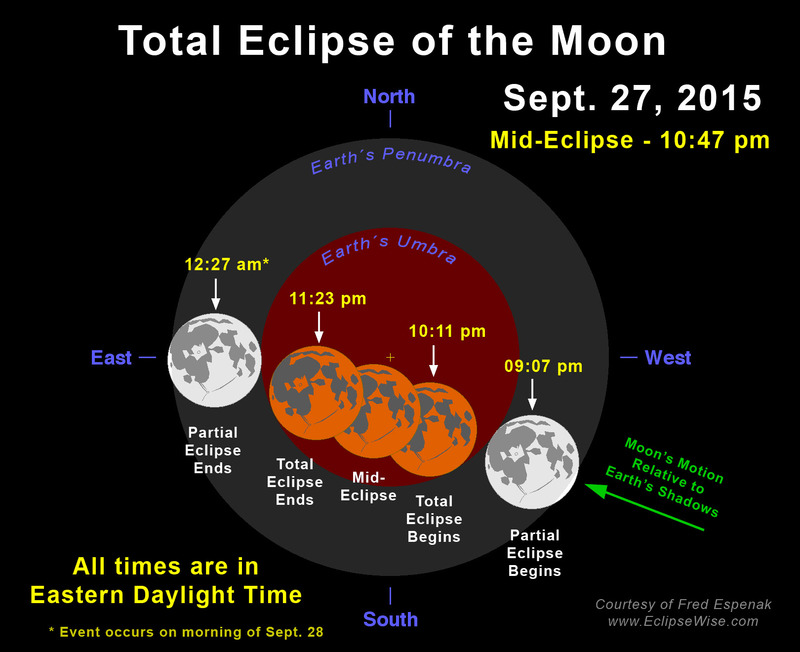 Courtesy Fred Espenak/EclipseWise.com – All times are Eastern Daylight. Subtract 1 hour for Central Daylight, 2 hours for Mountain Daylight, 3 hours for Pacific Daylight Time. Times apply for anywhere in that time zone. All of North America, indeed most of the western hemisphere, can see this eclipse. In North America, the farther east you live on the continent the later in your evening the eclipse occurs and the higher the Moon appears in the southeast. For example, in the Eastern time zone, totality begins at 10:11 p.m. EDT and ends at 11:23 p.m. EDT, with mid-totality is at 10:47 p.m. EDT with the Moon about 35 degrees up, placing it high in the southeast sky for southern Ontario, for example. For me in the Mountain time zone, the total eclipse begins at 8:11 p.m. MDT and ends at 9:23 p.m. MDT, with mid-totality is at 8:47 p.m. MDT, with the Moon just 13 degrees up in the east from here in southern Alberta. From my time zone, and from most location in the Rocky Mountain regions, the Moon rises with the initial partial phases in progress. 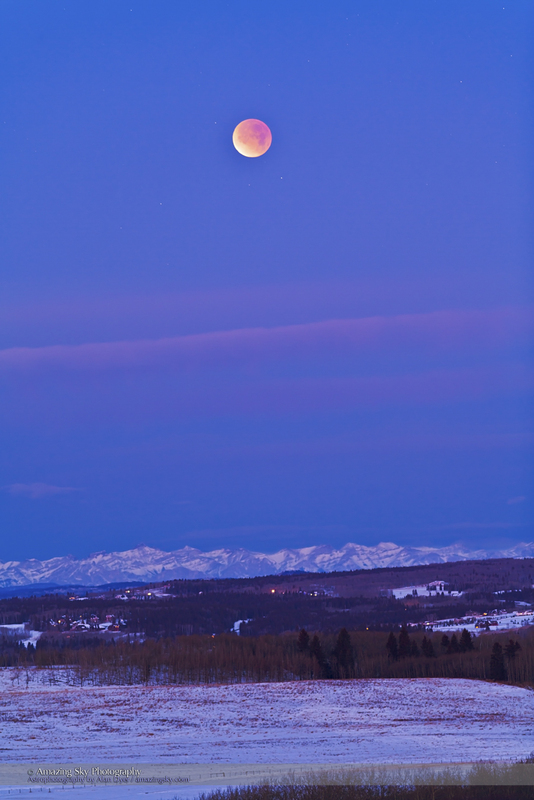 This is the total eclipse of the Moon, December 10, 2011, taken from the grounds of the Rothney Astrophysical Observatory, near Priddis Alberta, and looking west to the Rockies. This is a 2 second exposure at ISO 800 with the Canon 5DMkII and Canon 200mm lens at f/4. For locations on the west coast viewers miss most of the partial eclipse phase before totality. Instead, the Moon rises as totality begins, making for a more challenging observation. Viewers on the coast will need clear skies and a low horizon to the east, but the reward could be a beautiful sight and images of a red Moon rising. Total eclipse of the Moon, December 20/21, 2010, taken from home with 130mm AP apo refractor at f/6 and Canon 7D at ISO 400. An HDR composite of 9 images from 1/125 second to 2 seconds, composited in Photoshop CS5. Taken at about 12:21 am MST on Dec 21, about 20 minutes before totality began, during the partial phase. This eclipse of the Moon is the last in a series of four total lunar eclipses that occurred at six-month intervals over the last two years. We won’t enjoy another such “tetrad” of total lunar eclipses until 2032-33. But this eclipse is unique in that it also coincides with the annual Harvest Moon, the Full Moon closest to the autumnal equinox. Harvest Moons are known for their orange tint as they rise into what is sometimes a dusty autumn evening. Call it what you will, it does make this Full Moon a little larger than usual, though the difference is virtually impossible to detect by eye. And it makes little difference to the circumstances or appearance of the eclipse itself. Partial eclipse of the Moon at moonset, morning of June 26, 2010, at about 5:00 am. Shot with 200mm telephoto and 1.4x teleconvertor, for 1/15th sec at f/5 and ISO 100, using Canon 7D. From western North America the Moon will rise in partial eclipse like this on September 27. Just look up! You can enjoy the eclipse with the unaided eye, and even from within city limits. Unlike eclipses of the Sun, the eclipsed Moon is perfectly safe to look at with whatever you wish to use to enhance the view. The best views are with binoculars or a telescope at low power. Look for subtle variations in the red colouring across the disk of the Moon, and even tints of green or blue along the dark edge of the Earth’s advancing or retreating shadow during the partial phases. 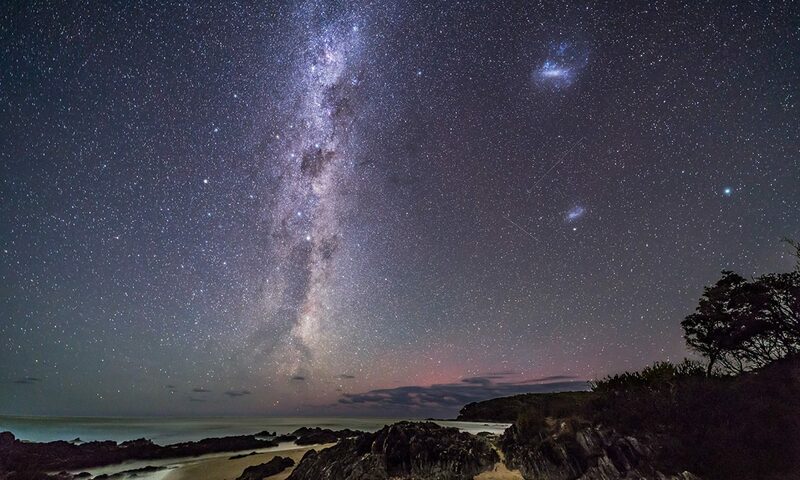 If you can, travel to a dark site to enjoy the view of the stars and Milky Way brightening into view as the Full Moon reddens and the night turns dark. 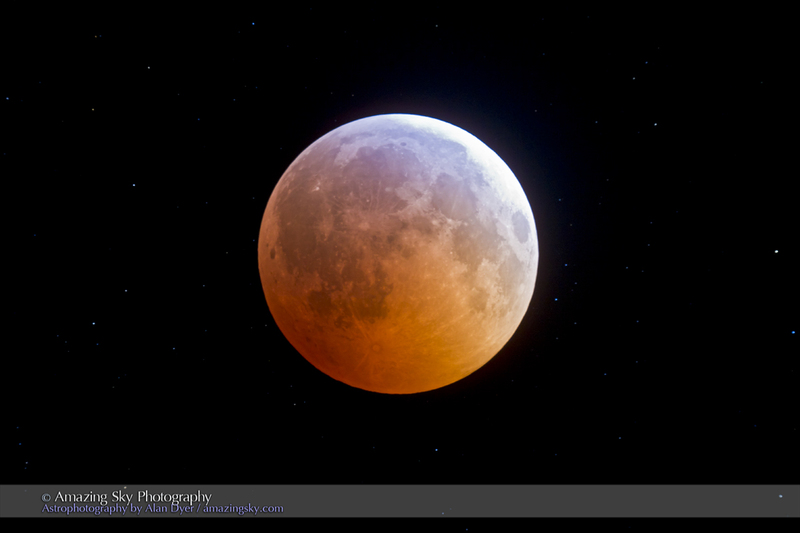 The total eclipse of the Moon, April 15, 2014 local time just after sunset from Australia. This is an 8-second exposure at f/2.8 with the 50mm lens on the Canon 60Da at ISO 800. The easiest method is to use a camera on a tripod, with a remote release to fire the shutter and prevent vibration from blurring the image. What lens you use will depend on how you wish to frame the scene and how high the Moon is in your sky. 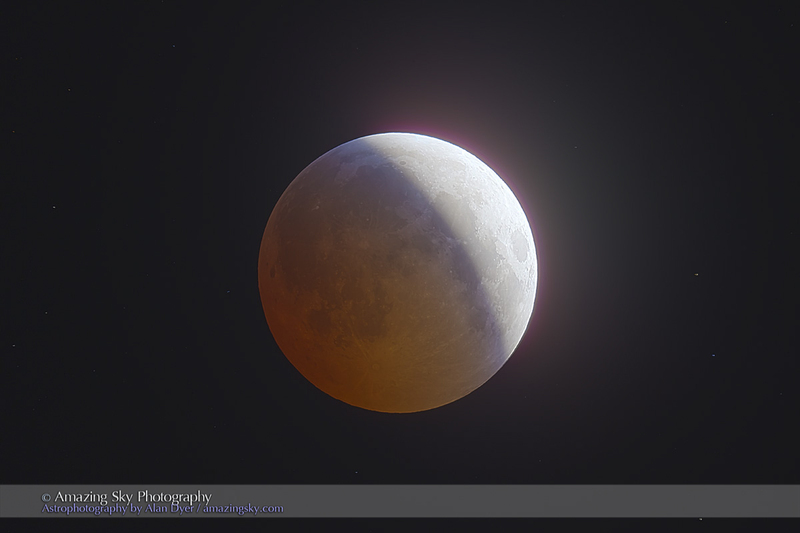 From eastern North America you’ll need a wide-angle lens (14mm to 24mm) to frame the eclipsed Moon and the ground below. The Moon will appear as a small red dot. While you can shoot the Moon with longer focal lengths it takes quite a long lens (>300mm) to really make it worthwhile shooting just the Moon itself isolated in empty sky. Better to include a landscape to put the Moon in context, even if the Moon is small. From western North America the lower altitude of the Moon allows it to be framed above a scenic landscape with a longer 35mm to 50mm lens, yielding a larger lunar disk. From the west coast you could use a telephoto lens (135mm to 200mm) to frame the horizon and the eclipsed Moon as it rises for a dramatic photo. Use Live View (and zoom in at 10x magnification) to manually focus on the horizon, distant lights, or bright stars. The Moon itself my be tough to focus on. Exposures will depend on how bright your sky is. Use ISO 400 to 800 and try metering the scene as a starting point if your sky is still lit by twilight. Use wide lens apertures (f/4 to f/2) if you can, to keep exposures times as a short as possible. The apparent motion of the Moon as the sky turns from east to west will blur the image of the Moon in exposures lasting more than a few seconds, especially ones taken with telephoto lenses. The maximum exposure you can use before trailing sets in is roughly 500 / lens focal length. 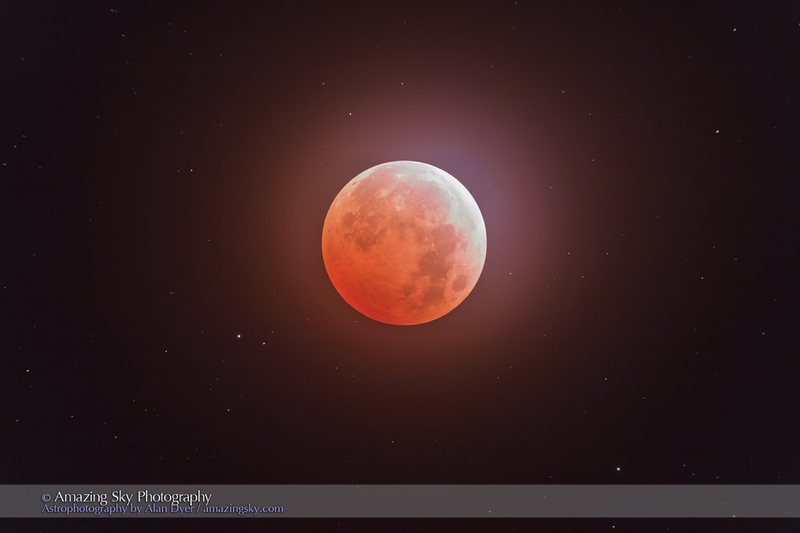 Total eclipse of the Moon, December 20/21, 2010, taken with Canon 5D MKII and 24mm lens at f2.8 for stack of 4 x 2 minutes at ISO 800. Taken during totality using a camera tracker. 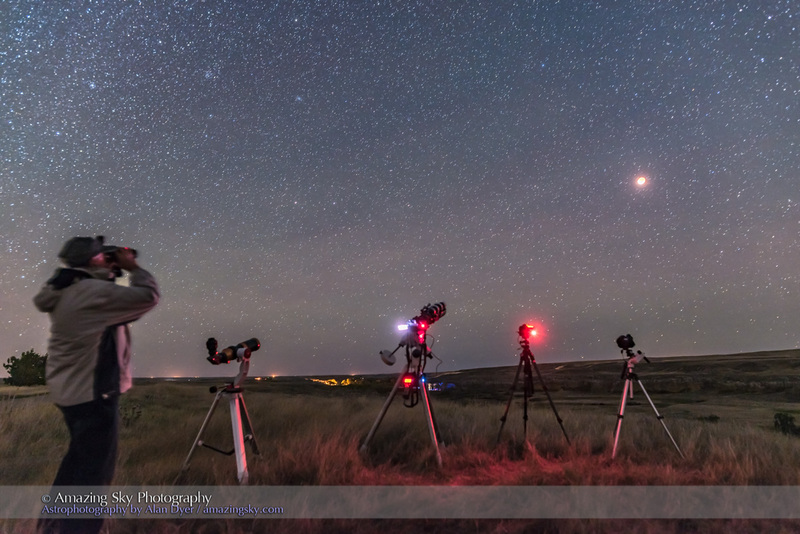 If you can track the sky using a motorized tracker or telescope mount, you can take exposures up to a minute or more, to record the red Moon amid a starry sky. For this type of shot, you’ll need to be at a dark site away from urban light pollution. But during totality the sky will be dark enough that the Milky Way will appear overhead. 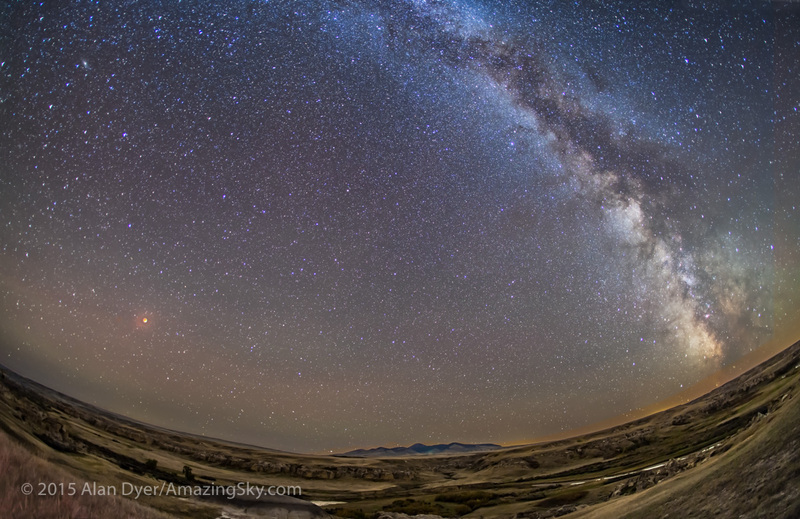 Use a wide-angle lens to capture the red Moon to the east of the summer Milky Way. 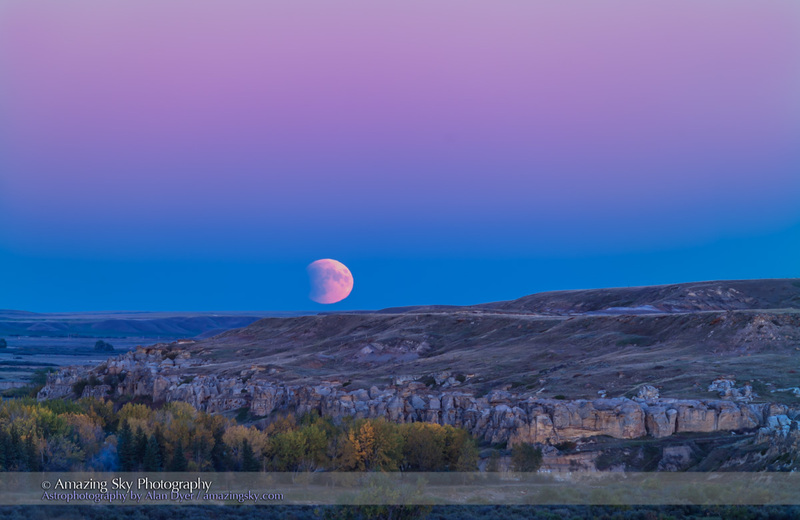 The total eclipse of the Moon, October 8, 2014, the Hunter’s Moon, as seen and shot from Writing-on-Stone Provincial Park, Alberta. I shot this just after mid-totality in a single 15-second exposure at ISO 400 with the Canon 60Da, and with the 80mm apo refractor at f/6. It was mounted on the Sky-Watcher HEQ5 mount tracking at the lunar rate. The most dramatic closeups of the eclipsed red Moon require attaching your camera body (with its lens removed) to a telescope. The telescope becomes the lens, providing a focal length of 600mm or more, far longer than any telephoto lens most of us own. You’ll need the appropriate “prime focus” camera adapter and, to be blunt, if you don’t have one now, and have never shot the Moon though your telescope then plan on shooting with another method. But even if you have experience shooting the Moon through your telescope, capturing sharp images of the dim red Moon demand special attention. The telescope must be on a motorized mount tracking the sky, preferably at the “lunar,” not sidereal, drive rate. Focus on the Moon during the partial phases when it is easier to focus on the bright edge of the Moon. Exposures during totality typically need to be 5 to 30 seconds at ISO 800 to 3200, depending on the focal ratio of your telescope. Take lots of exposures at various shutter speeds. You have over an hour to get it right! 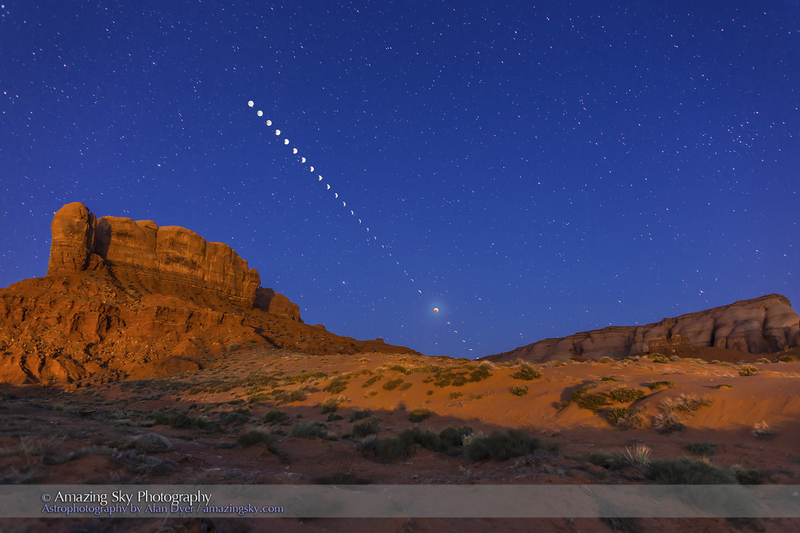 The total lunar eclipse of April 4, 2015 taken from near Tear Drop Arch, in western Monument Valley, Utah. The mid-totality image is a composite of 2 exposures: 30 seconds at f/2.8 and ISO 1600 for the sky and landscape, with the sky brightening blue from dawn twilight, and 1.5 seconds at f/5.6 and ISO 400 for the disk of the Moon itself. Also, layered in are 26 short exposures for the partial phases, most being 1/125th sec at f/8 and ISO 400, with ones closer to totality being longer, of varying durations. All are with the 24mm lens and Canon 6D on a static tripod. I’d suggest attempting time-lapses only if you have lots of experience with lunar eclipses. Exposures can vary tremendously over the partial phases and then into totality. 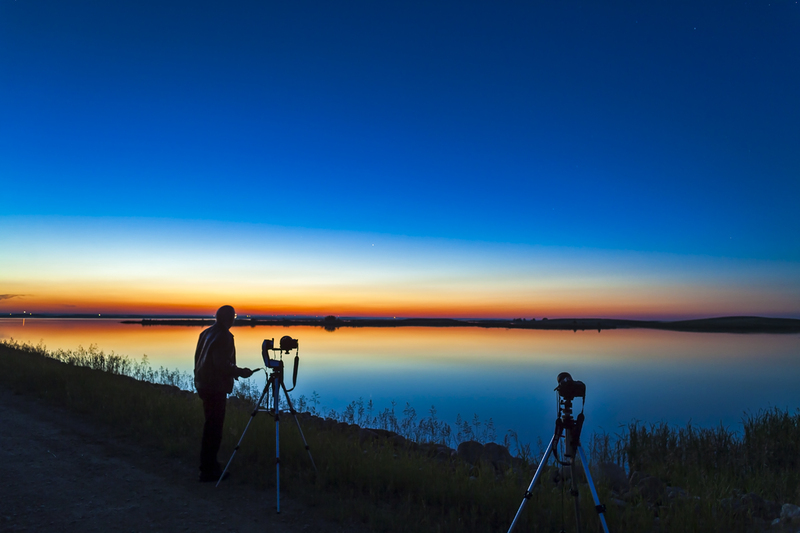 Any time-lapse taken through a telescope, or even with a wide-angle lens, will require a lot of manual attention to ensure each frame is well-exposed as the sky and Moon darken. However, even if you do not get a complete set of frames suitable for a smooth, continuous time-lapse, selected frames taken every 5 to 10 minutes may work well in creating a multiple-exposure composite (as above), by layering exposures later in Photoshop. Whatever method – or methods — you use, don’t get so wrapped up in fussing with cameras you forget to simply enjoy the eclipse for the beautiful sight it is. This is the last total eclipse of the Moon anyone on Earth will see until January 31, 2018. So enjoy the view of the deep red Moon in the autumn sky. Venus, now at its brightest as a morning star, shines amid the subtle glow of the Zodiacal Light. This was the scene this morning, September 17, on a very frosty dawn at 5 a.m. from my backyard in southern Alberta. 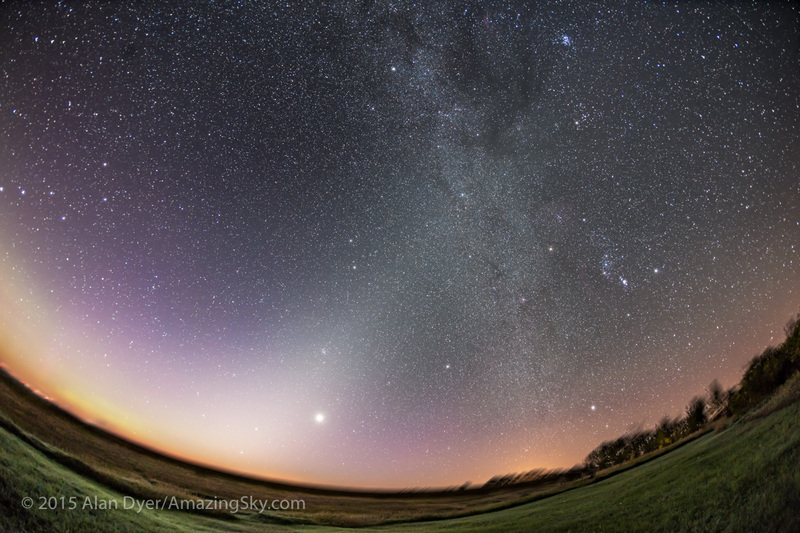 Venus appears amid the faint glow of the Zodiacal Light, sometimes called the “False Dawn,” stretching diagonally from the dawn horizon in the east, up and to the right, and reaching the Milky Way that runs vertically down the frame from top centre to bottom right. Orion and the winter stars shine in the Milky Way, with Sirius above the trees at lower right. The Beehive Cluster, M44, appears as the small group of stars above Venus. The Pleiades, M45, is at top right. 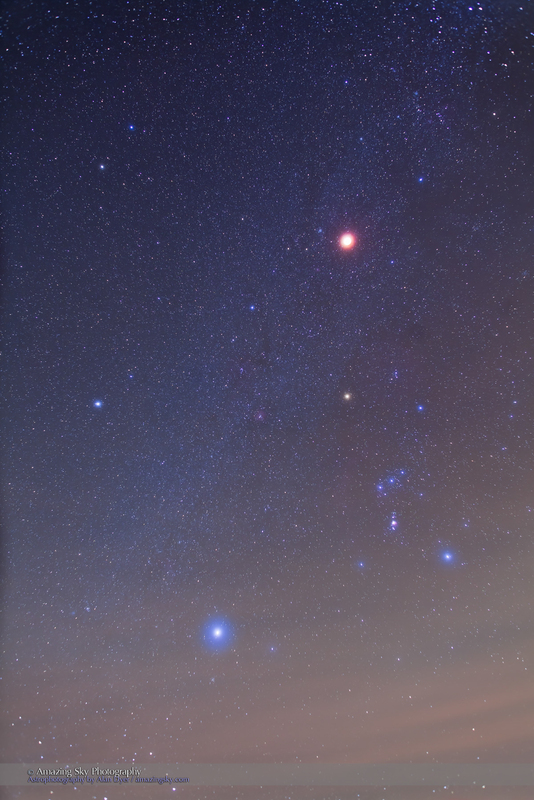 Mars is the brightest object left of Venus, with the bright star Regulus just below it and rising in the east. The stars of the Big Dipper are at far left at the edge of the frame. The sky is beginning to brighten with the real glow of morning. It was a marvellous dawn sky delight. This is a stack of 4 x 2-minute exposures, tracked and mean-combine stacked, for the sky and 2 x 2-minute exposures, untracked and stacked, for the ground to minimize blurring in the starlit ground. 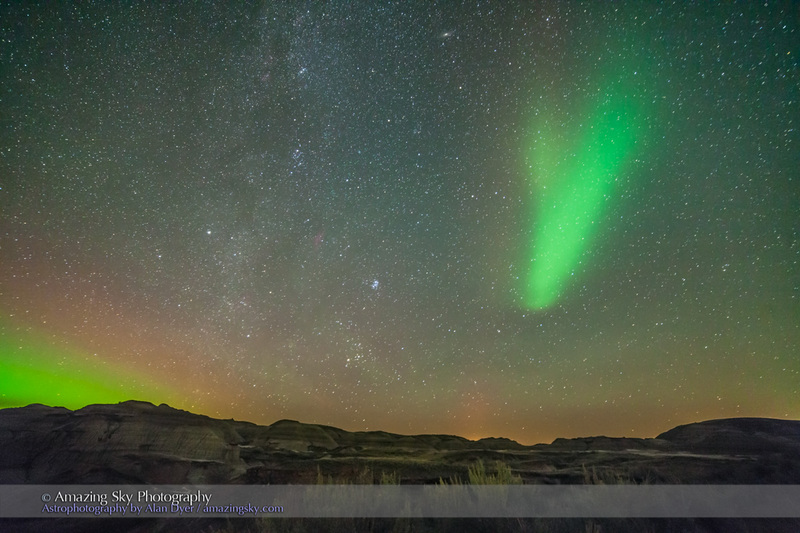 The Canon 6D was on the iOptron Sky-Tracker, shooting at ISO 1250 with the 15mm full-frame fish-eye lens at f/3.5. The stacking with a mean combine stack mode smooths noise in both sky and ground. Here are my top tips for shooting terrific still-image nightscapes … and time-lapse movies of the night sky. When choosing a camera for night sky scenes, the most important characteristic is not number of megapixels. Just the opposite. The best cameras are usually models with more modest megapixel counts. Each of their individual pixels is larger and so collects more photons in a given exposure time, yielding higher a signal-to-noise ratio – or lower noise, critical for night shooting. Cameras with pixels (the “pixel pitch”) 6 to 8 microns across are best. Many high-megapixel cameras have tiny 4-micron pixels. 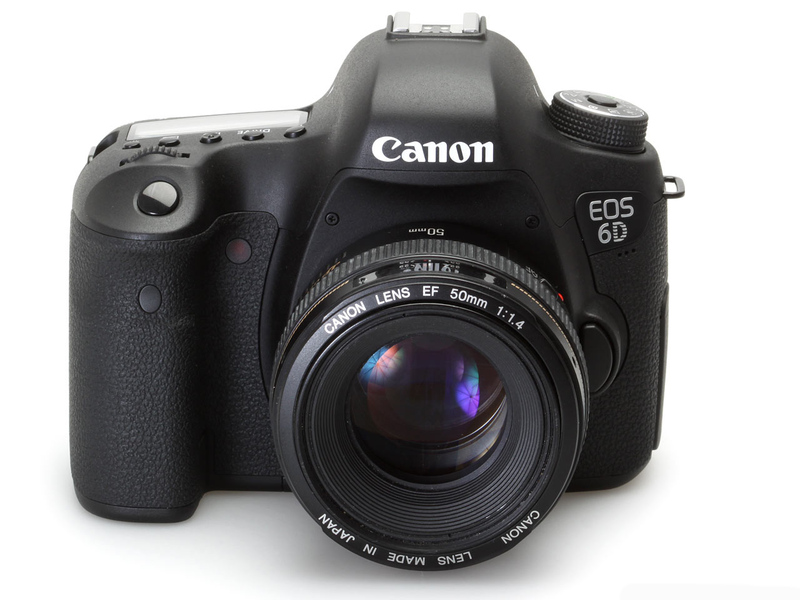 Large-pixel cameras are often the full-frame models, such as the Canon 5D MkIII and 6D, the Nikon D610, D750, and Df, and the Sony a7s and a7S II. Many “cropped-frame” cameras are now 18- to 24-megapixel models with smaller, noise-prone pixels. They can certainly be used, but will require more care in exposing well at lower ISOs, and in processing to smooth out noise without blurring detail. While DSLRs and Compact System Cameras have amazing automatic functions we use none of them at night. Instead, we use the camera on Manual or Bulb, dialling in shutter speed, aperture and ISO speed manually. 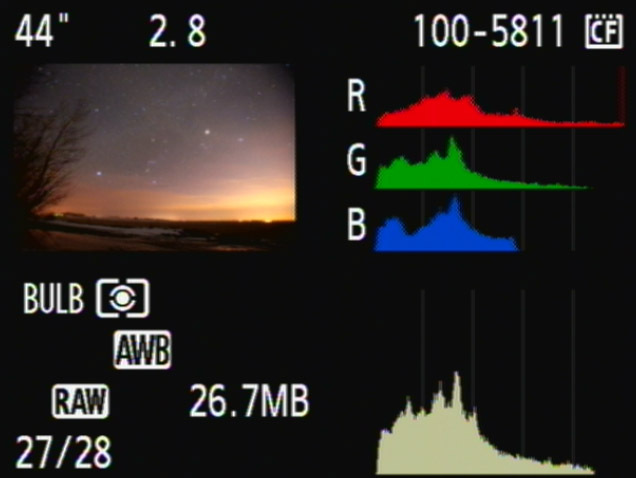 We also have to focus manually, using Live View mode to focus on a bright star or distant light. Learn the tradeoffs involved: Increasing ISO sensitivity of the sensor keeps exposure times down but increases noise. Opening up the lens aperture to f/2 or f/1.4 also keeps exposures short but introduces image-blurring aberrations, especially at the frame corners. To prevent stars from trailing due to the sky’s motion adhere to the “500 Rule:” the maximum exposure time is roughly 500 divided by the focal length of your lens. At night, always give the sensor plenty of signal. Use whatever combination of shutter speed, aperture and ISO will provide a well-exposed image. The image “histogram,” the graph of number of pixels at each brightness level shown above, should never be slammed to the left. It should be a well-distributed “mountain range” of pixels, extending well to the right. If the 500 Rule restricts your shutter speed, and your desire for sharp images across the frame demands you shoot at f/2.8 or even slower, then don’t be afraid to bump up the ISO speed to whatever it takes to produce a good histogram and a well-exposed image. 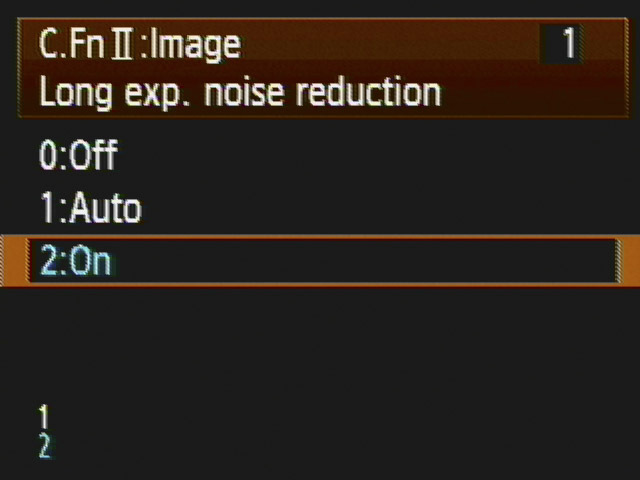 Noise will look far worse if you underexpose, then try to boost the image brightness later in processing. Expose to the right! When comparing Raw and compressed JPG versions of the same image, you can be fooled into thinking the JPGs look better (i.e. smoother) because of the noise reduction the camera has applied to the JPG that is beyond your control. However, that smoothing has also wiped out fine detail, like stars. 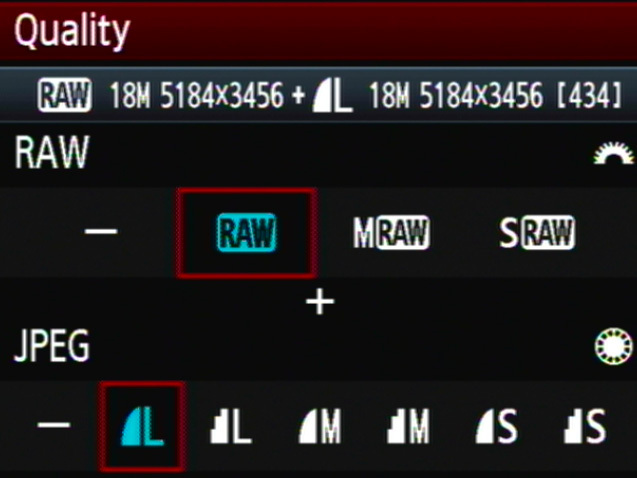 By shooting Raw you get to control whatever level of noise reduction and sharpening the image needs later in processing. JPGs are also 8-bit images with a limited tonal range – or palette – in which to record the subtle gradations of brightness and colour present in our images. Imported Raw files are 16-bit, with a much wider tonal scale and colour palette. That’s critical for all astrophotos when, even with a well-exposed image, many tonal values are down in the dark end of the range. Processing Raw images makes it possible to extract detail in the shadows and highlights. 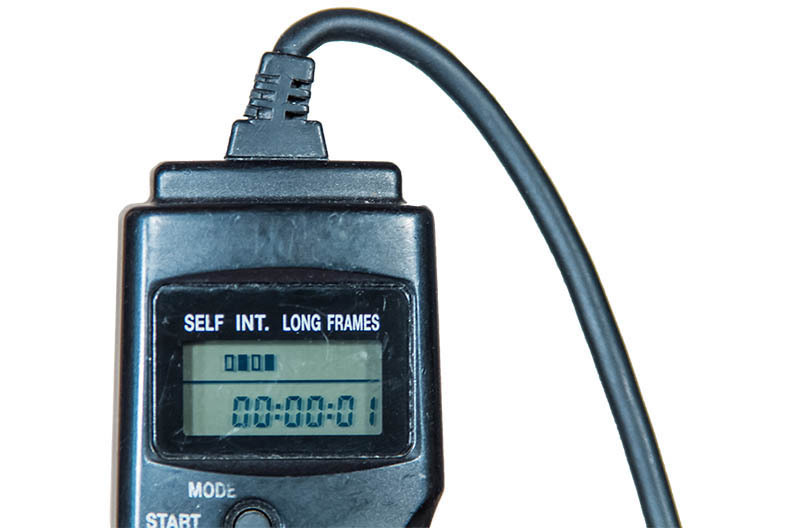 Even when shooting a time-lapse sequence, shoot Raw. It’s a topic of some debate, but in my experience it is always better to turn on the camera’s Long Exposure Noise Reduction (LENR) function when shooting individual nightscape images. Doing so forces the camera to take a “dark frame,” an exposure of equal length but with the shutter closed. It records just the noise, which the camera then subtracts from the image. Yes, it takes twice as long to acquire an image, but the image is cleaner, with fewer noisy pixels. This is especially true when shooting on hot summer nights (the warmer the sensor the higher the noise). That said, you cannot use LENR when shooting frames for star trail composites or time-lapse movies. For those, the interval between images should be no more than 1 to 5 seconds. Using LENR would introduce unsightly gaps in the trails or jumps in the star motion in time-lapses. Some stacking software, such as StarStax and the Advanced Stacker Actions have places to put these dark frames, to subtract them from the stack later in processing. A fast lens is your best accessory. While the “kit zoom” lenses that come with many DSLRs are great for shooting bright twilight or Full Moon scenes, they will prove too slow for dark starlit scenes with the Milky Way. In addition to exposing to the right and shooting Raw, the secret to great nightscapes is to shoot with fast lenses, usually “prime” lenses with fixed focal lengths. They are usually faster and have better image quality than zooms. 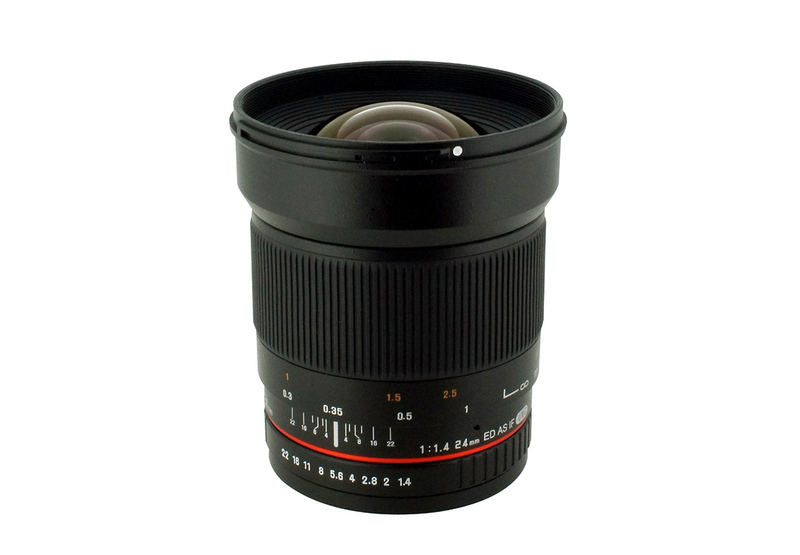 Your most-used lens for nightscape and time-lapse shooting is likely to be a 14mm to 24mm f/2 to f/2.8 lens. Fortunately, because we don’t need (and indeed can’t use) autofocus we can live happily with low-cost manual lenses, such as the models made in Korea and sold under brands such as Rokinon, Samyang and Bower. They work very well. 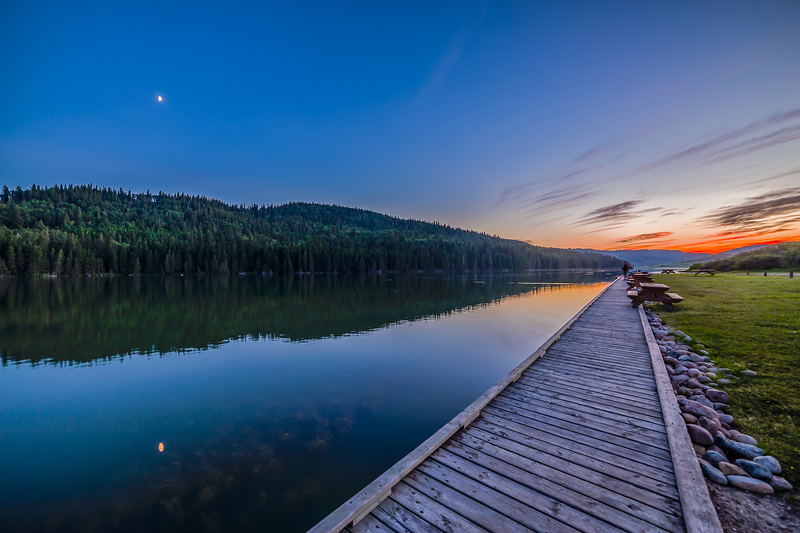 For many nightscape and time-lapse shoots, the Moon is your light source for illuminating the landscape. When the Moon is absent, the Milky Way is often your main sky subject. Knowing where the Moon will be in the sky at its various phases, and when it will rise (in its waning phases after Full Moon) or set (in its waxing phases before Full) helps you a plan a shoot, so you’ll know whether a landscape will be well lit. Astronomy apps for desktop computers and mobile devices are essential planning aids. A good one specifically for photographers is The Photographer’s Ephemeris. Knowing in what season and time of night the Milky Way will be visible is essential if you want to capture it. 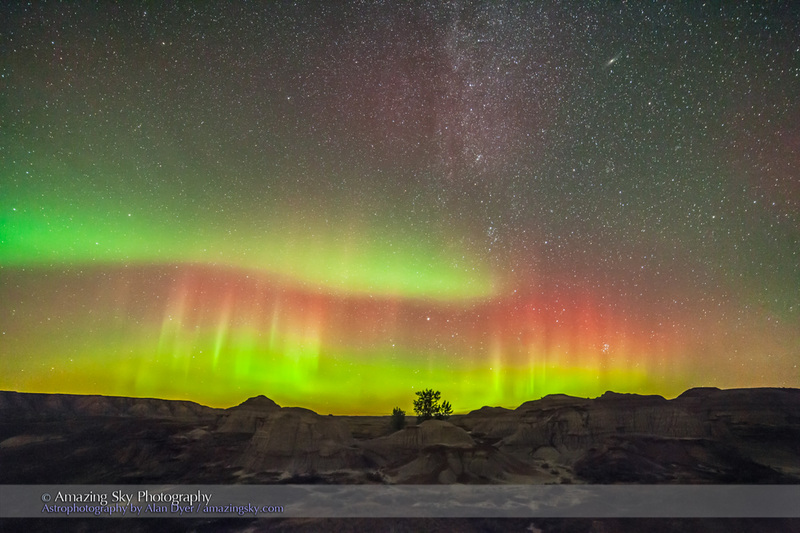 Don’t try for Milky Way shots in spring – it isn’t up! Don’t be seduced by the fancy gear. 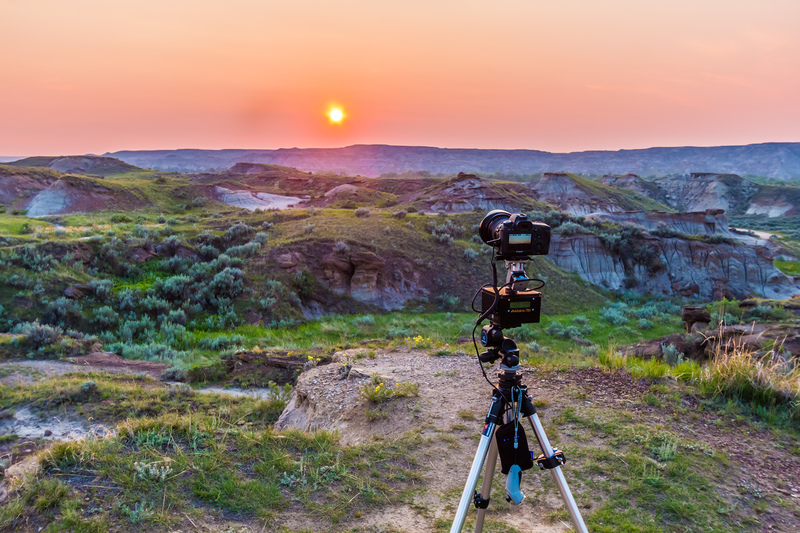 Time-lapse imaging has blossomed into a field replete with incredible gear for moving a camera incrementally during a shoot, and for automating a shoot as day turns to night. I explain how to use all the fancy gear in my ebook, linked to below, however … Great time-lapses, and certainly still-frame nightscapes, can be taken with no more than a DSLR camera with a good fast lens and mounted on a sturdy tripod. Invest in the lens and don’t scrimp on the tripod. Another essential for shooting multi-frame star trails and time-lapses is a hardware intervalometer ($50 to $150). For time-lapses, an intervalometer is essential. Mastering exposure and focus in still images is essential for great time-lapse movies because they are simply made of hundreds of well-exposed still frames. But move to time-lapses and you have additional factors to consider: how many frames to shoot and how often to shoot them. A good rule of thumb is to shoot 200 to 300 frames per sequence, shot with an interval of no more than 1 to 5 seconds between exposures, at least for starry night sequences. However, most intervalometers (the Canon TC-80N3 is an exception) define their “Interval” setting to mean the time from when the shutter opens to when it opens again. In that case, you set the Interval to be a value 1 to 5 seconds longer than the exposure time you are using. 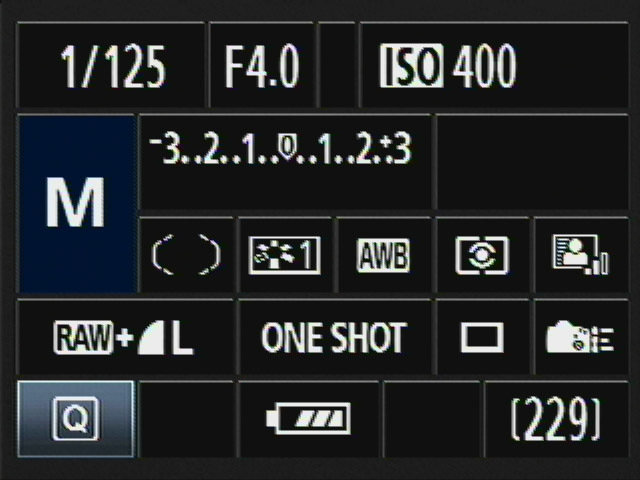 That’s also true of the intervalometer function Nikon builds into their internal camera firmware. While the gear can be simple, great shots demand an investment in time. By all means practice at home and at nearby sites that are quick to get to. Try out gear and techniques at Full Moon when exposures are short (the Full Moon is bright!) and you can see what you are doing. But beautiful images of landscapes lit by moonlight or starlight require you to travel to beautiful locations. When you are on site, take the time to frame the scene well, just as you would during the day. Darkness is no excuse for poor composition! While shooting nightscapes and time-lapses can be done with a minimal investment in hardware and software, it does require an investment in time – time to travel and spend nights shooting at wonderful places under the stars. I cover all these topics, and much more, in detail in my ebook How to Photograph & Process Nightscapes and Time-Lapses. Click the link below to learn more. 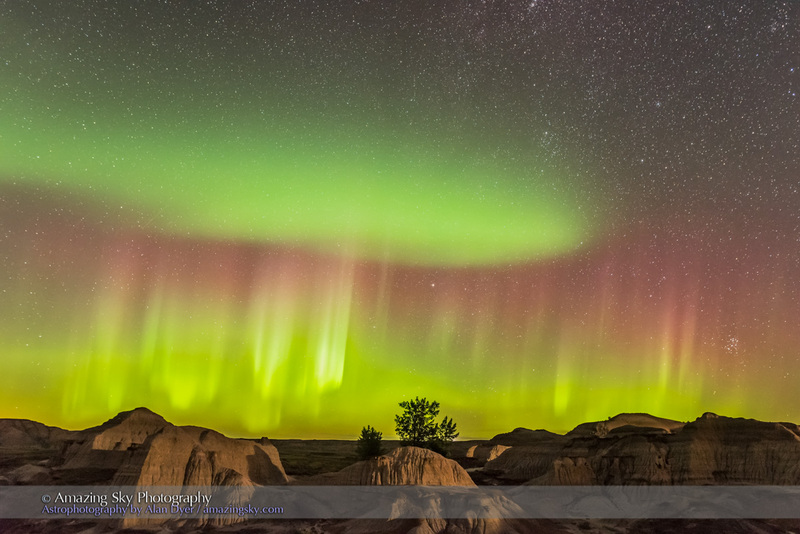 The Northern Lights dance over the badlands of Dinosaur Provincial Park, a World Heritage Site. 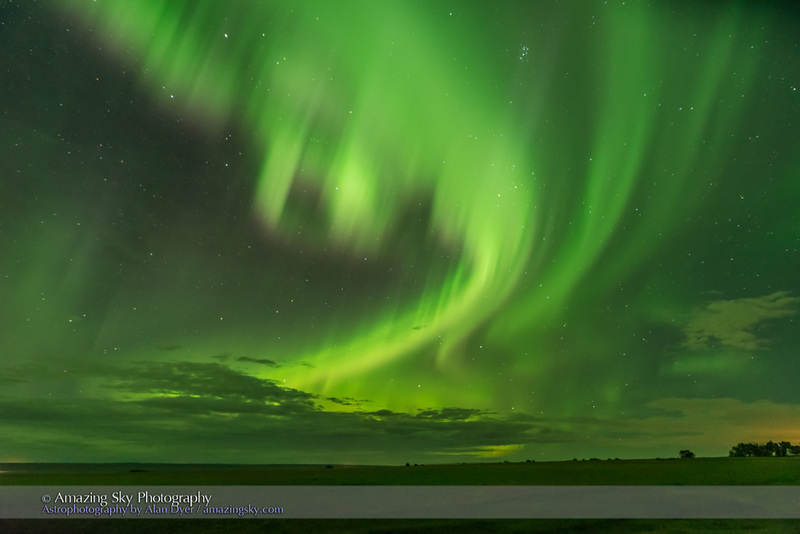 Aurora alerts called for a fine display on Friday, September 11. Forewarned, I headed to one of my favourite shooting spots at Dinosaur Provincial Park, and aimed three cameras at the sky. It didn’t take long before the lights appeared, right on cue. …But not before I captured this odd bit of aurora in the east, shown below, that appeared as an isolated and stationary band pulsing up and down in brightness, but with little movement. I’ve seen these before and have never heard a good explanation of what process creates such an effect, with a patch of sky appearing to “turn on” and off. You can see the effect at the end of the time-lapse compilation, linked below from Vimeo. As usual, please enlarge to full-screen and watch in HD for the best quality. Unfortunately, a patrolling park official checking on things, spoiled some frames with her truck’s headlights. It’s one of the hazards of time-lapse imaging. As a final image, here are all the fish-eye lens frames stacked into one image, to create a single star trail showing the sky rotating about the celestial pole. Each exposure was 20 seconds at f/3.5 with the Sigma 8mm lens and at ISO 6400 with the Canon 6D. The ground comes from a stack of 16 images taken early in the sequence turned into a smart object and mean combined with Mean stack mode, to average out and smooth noise. The sky comes from 198 exposures, Lighten stacked using the Advanced Stacker Actions from StarCircleAcademy.com. It’s been a good week for auroras, with a promise of more to come perhaps, as we approach equinox, traditionally a good time for magnetic field lines to align, funnelling solar storm particles into our magnetosphere. 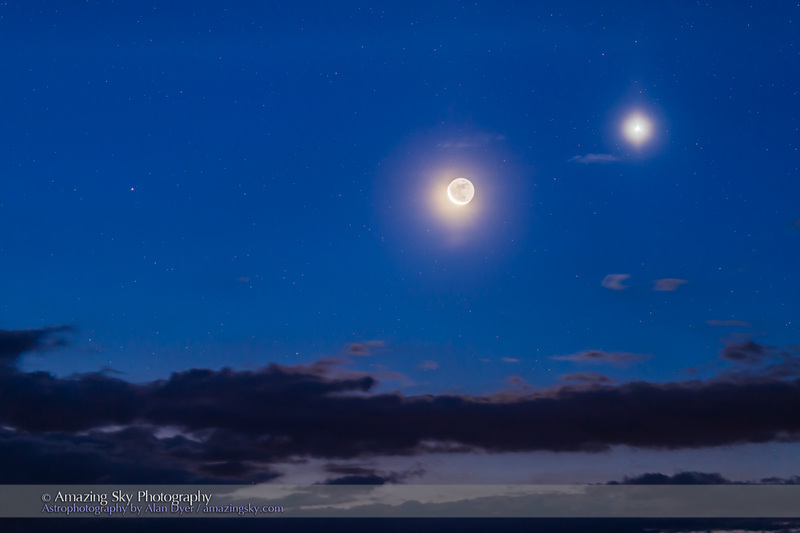 The waning crescent Moon joined Venus and Mars in the dawn sky. 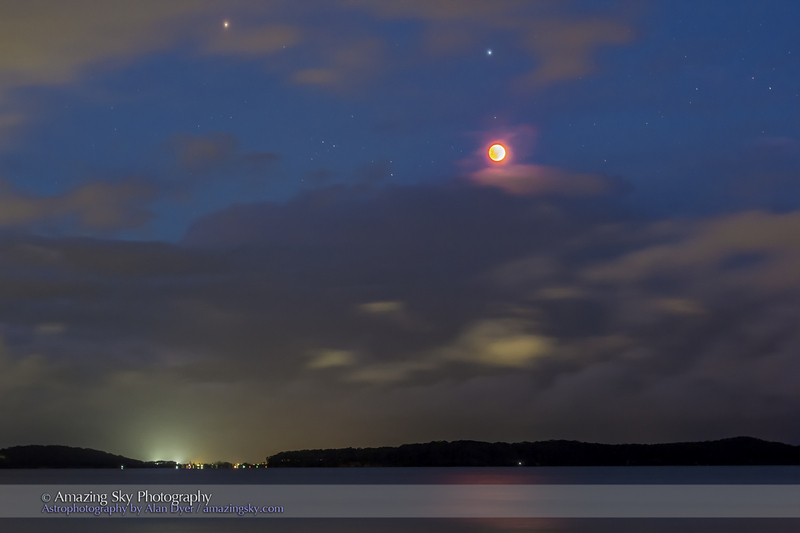 I blogged about this conjunction a few days ago, and here is the real thing. On the morning of September 10 the waning crescent Moon gathered near bright Venus and much dimmer but redder Mars (at left) in the dawn sky. Venus and Mars have both moved into the morning sky, where they will begin a series of conjunctions with the Moon and with Jupiter, now just emerging from behind the Sun, over the next two months. This gathering is just the start of the dawn planet dance. I shot this with the Canon 6D and 135mm lens at f/2 and at ISO 800 in a set of 8, 4, 2, 1 and 0.5-second exposures, blended with HDR Pro in Photoshop using 32-bit mode of Adobe Camera Raw. The lights came out and danced in my sky in the early morning hours. The early warning signs weren’t calling for anything too impressive for a display last night, September 8/9, but the sky surprised us with a fantastic display of Northern lights. I shot with one camera – it was very late, or very early! – but shot enough frames to create this short 1.5-minute music video. 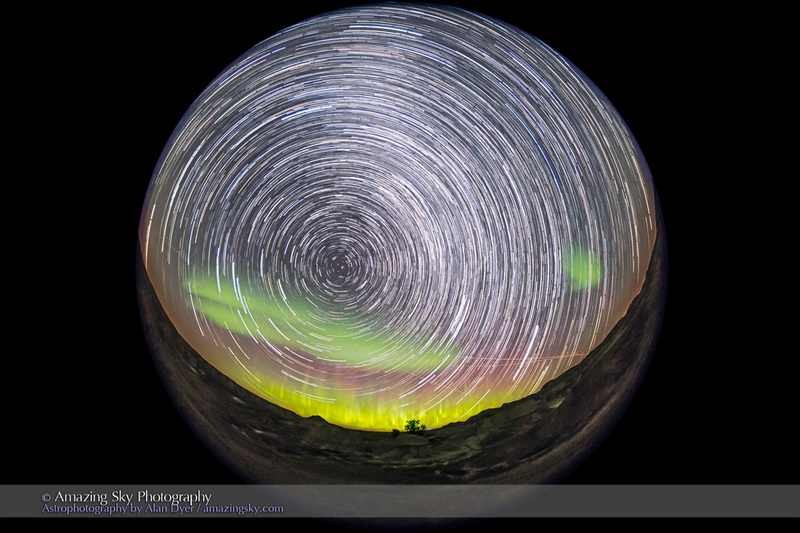 I photographed the sequence with a single fixed-camera aimed east toward a bright auroral curtain, showing fast pulsing forms common to the later stages of a substorm. But then a new bright curtain sweeps in from the north and the display brightens even more in a new substorm. The display then fades. The exposures were taken over an hour from 1:30 a.m. to 2:30 a.m. MDT. Each was a 2-second exposure with an interval of 2 seconds, shot with the Nikon D750 at ISO 3200 and Sigma 24mm lens at f/2, for a total of just over 850 frames. Music is my Adi Goldstein at AGSoundtrax.com.